Ok, finally got a chance to review my shots from our Leigh night safari last week. This is my best shot so far... ok, probably my best shot full stop. Over 80 shots, 3 hours, 1 good one. Ain't that the way sometimes? 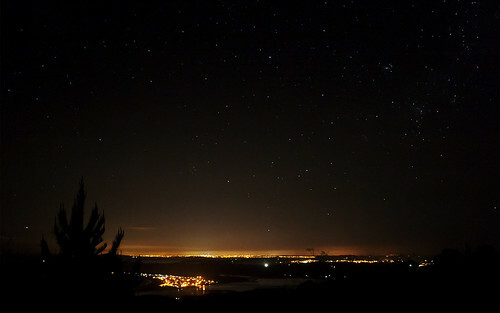 A great night anyway, gorgeous stars, amazing view with Auckland on the horizon to the south, and Whangarei to the north. 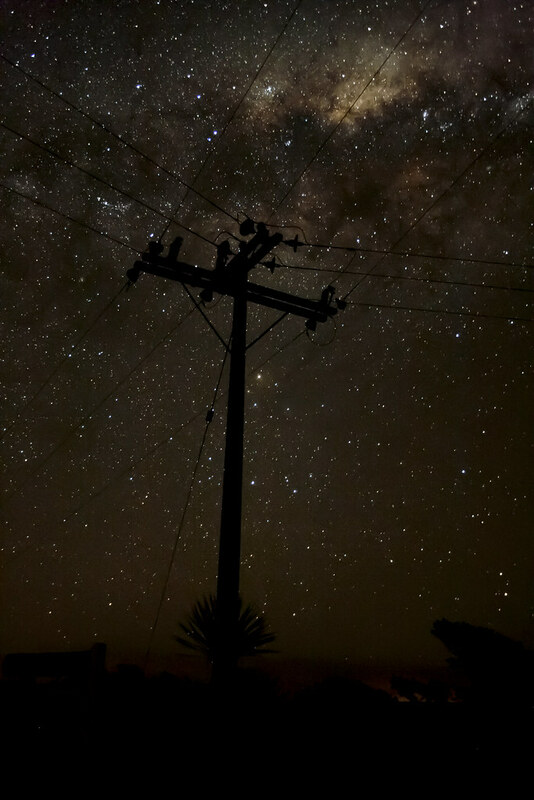 Check me out on Tumblr - this is reasonably new, and is one of the places I am using to build an online portfolio of astro (and otherwise) shots. 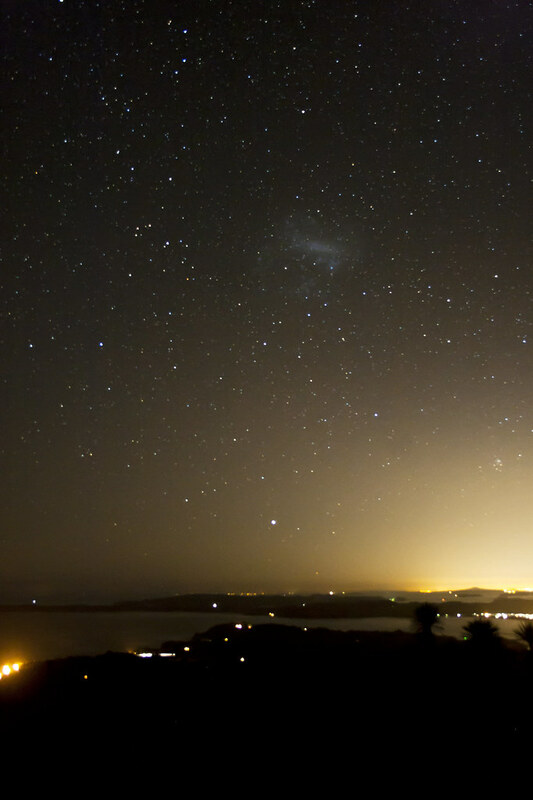 In the first one, Bill strikes a pose as the Milky Way revolves behind him, and in the second the LMC hovers over Rangitoto and the rest of the landscape. 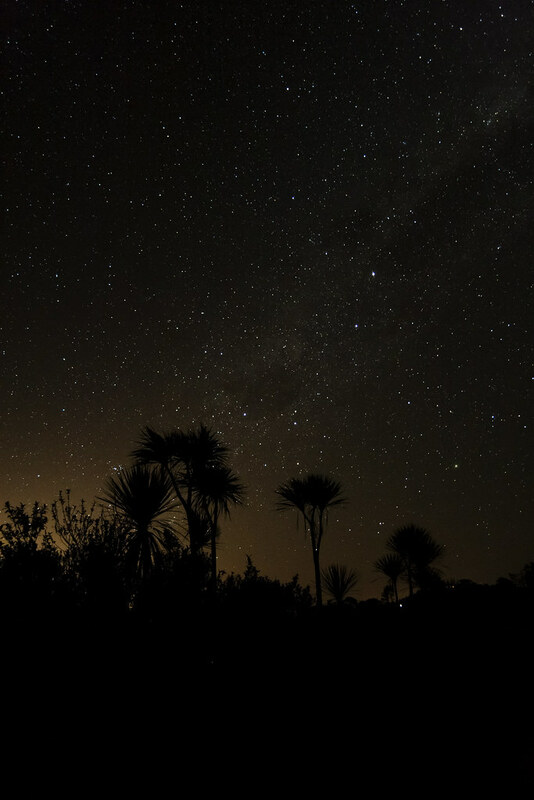 Then there's the Southern Cross over the Punga trees - I mean what could be more Kiwi?!? 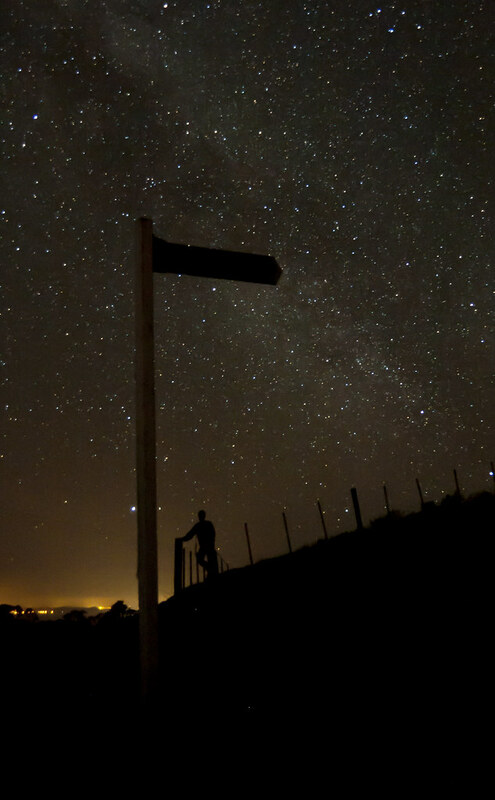 And finally, my fav shot of the night, I love the combination of the man made and the Milky Way. There were of course some more, which you will see as soon as I do some more post on them. Speaking of Post .. 3200ISO shots are very nice, but getting the noise out of them isn't. HUGE thanks to gfkBill for the night. Check his Flickr stream for his pics as they come up!